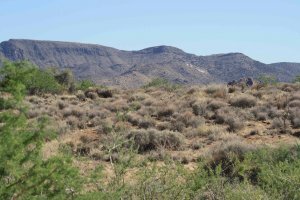 Access discounted land and lots in Arizona and all over Southwest. Who Else Is Looking For Land For Sale In Arizona? Investing in land for sale in Arizona has never been easier. Fortunately, there’s another way to invest in land in Arizona, and this is where we at Southwest Land Deals have worked hard to position ourselves differently. We have become the experts in land investments around Arizona, and land owners come to us because they want to sell their land quickly. With our reputation among Arizona land sellers, they send us their land investment opportunities all the time and we’ve built a pretty big list of land for investing. Simply enter your information in the short info form below and we’ll give you access to our list of hundreds of land investments right here in Phoenix, Arizona and surround area. If you want to invest in raw land, lots, vacant land, and empty land – whether for speculation, development, or for personal use, there has never been a better time to buy land in Phoenix as an investment. 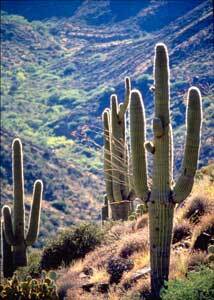 When people think of the desert southwest, the landscape of the Sonoran Desert is what mostly comes to mind. The Sonoran Desert makes up the southwestern portion of the Southwest; most of the desert lies in Mexico, but its United States component lies on the southeastern border of California, and the western 2/3 of southern Arizona. Rainfall averages between 4–12 inches per year, and the desert’s most widely known inhabitant is the saguaro cactus, which is unique to the desert. 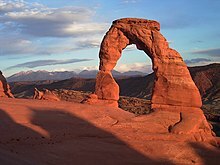 It is bounded on the northwest by the Mojave Desert, to the north by the Colorado Plateau and to the east by the Arizona Mountains forests and the Chihuahuan Desert. Aside from the trademark saguaro, the desert has the most diverse plant life of any desert in the world, and includes many other species of cacti, including the organ-pipe, senita, prickly pear, barrel, fishhook, hedgehog, cholla, silver dollar, and jojoba. The portion of the Sonora Desert which lies in the Southwestern United States is the most populated area within the region. Six of the top ten major population centers of the region are found within its borders: Phoenix, Tucson, Mesa, Chandler, Glendale, and Scottsdale, all in Arizona. Also within its borders are Yuma and Prescott Arizona. The Colorado Plateau varies from the large stands of forests in the west, including the largest stand of ponderosa pine trees in the world, to the Mesas to the east. Although not called a desert, the Colorado Plateau is mostly made up of high desert. Within the Southwest U.S. region, the Colorado is bordered to the south by the Mogollon Rim and the Sonoran Desert, to the west by the Mojave Desert, and to the east by the Rocky Mountains and the Llano Estacado. The Plateau is characterized by a series of plateaus and mesas, interspersed with canyons. The most dramatic example is the Grand Canyon. But that is one of many dramatic vistas included within the Plateau, which includes spectacular lava formations, “painted” deserts, sand dunes, and badlands. One of the most distinctive features of the Plateau is its longevity, having come into existence at least 500 million years ago. The Plateau can be divided into six sections, three of which fall into the Southwest region. Beginning with the Navaho section forming the northern boundary of the Southwestern United States, which has shallower canyons than those in the Canyonlands section just to its north; the Navaho section is bordered to the south by the Grand Canyon section, which of course is dominated by the Grand Canyon; and the southeastern-most portion of the Plateau is the Datil section, consisting of valleys, mesas, and volcanic formations. 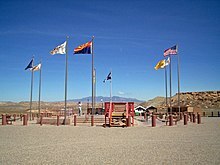 Albuquerque is the most populous city within the portion contained in the Southwest region, but Sante Fe, New Mexico and Flagstaff, Arizona, are also significant population centers. Geographer D. W. Meinig defines the Southwest in a very similar fashion to Reed: the portion of New Mexico west of the Llano Estacado and the portion of Arizona east of the Mojave–Sonoran Desert and south of the “canyon lands” and also including the El Paso district of western Texas and the southernmost part of Colorado. Meinig breaks the Southwest down into four distinct subregions. He calls the first subregion “Northern New Mexico“, and describes it as focused on Albuquerque and Santa Fe. It extends from the San Luis Valley of southern Colorado to south of Socorro and including the Manzano Mountains, with an east-west breadth in the north stretching from the upper Canadian River to the upper San Juan River. The area around Albuquerque is sometimes called Central New Mexico. “Central Arizona” is a vast metropolitan area spread across one contiguous sprawling oasis, essentially equivalent to the Phoenix metropolitan area. The city of Phoenix is the largest urban center, and located in the approximate center of the area that includes Tempe, Mesa, and many others.